Have you started planning your summer fun yet? 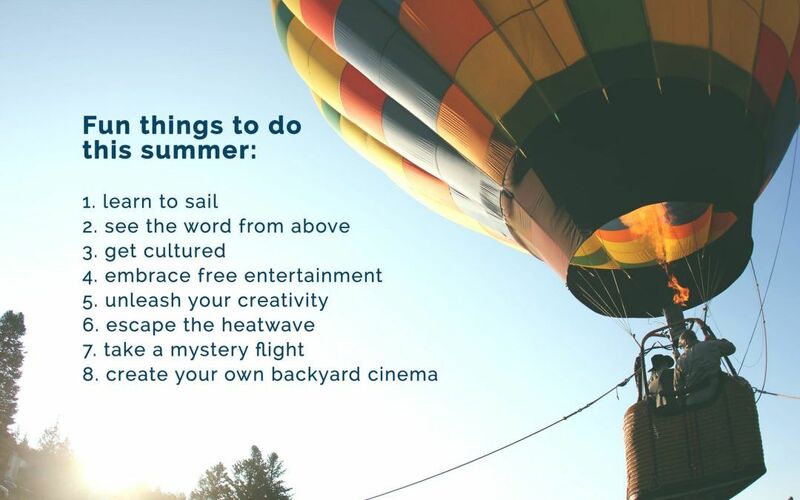 Are you going to fill your summertime with exciting events, or just to chill out and enjoy good weather? We dare you to try something fun and new, something you’ve never done before. Start planning your summer fun now – we hope you’ll find something to match your lifestyle from our list. Make this summer unforgettable! Catch the wind and feel the sailboat knuckles under to your hands. 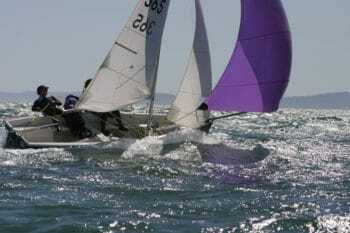 Feel the joy of freedom and imagine you are taking part in the regatta or may be even in the Sydney Hobart yacht race! Numerous yacht clubs offer courses both for kids and adults, or you can simply try a single lesson (great gift idea, too!). 2. See the world from above – try hot air ballooning! What can be more exciting? Wake up before the sunrise, take in morning freshness, and drift quietly above the breathtaking landscapes or cityscapes. Most of the operators allow kids age four and over to take part, also offering reduced rates for children under 15 years old. Outdoor theatre events are not only more affordable than performances held in the formal theatre venues. They have special charm, with landscapes and plants creating beautiful stage, with real lakes, rivers, and trees being the part of the scene. Many Australian cities boast events of this kind. As an example, Brooklyn Community Theatre organises al-fresco events on the banks of Hawkesbury River; Big Monkey Theatre performs at Royal Tasmanian Botanical Gardens; and finally, Australian Shakespeare Company leverages the beauty of Royal Botanic Gardens in Melbourne with classical Wind in the Willows and Midsummer Night Dream performances. Choose from classical music, jazz, carols, or entertainment. Enjoy little picnic or simply lie on your back and look up in the skies, rising moon and tree branches. Even better – get up and dance to the sound of music. Get your hands busy with crafts. 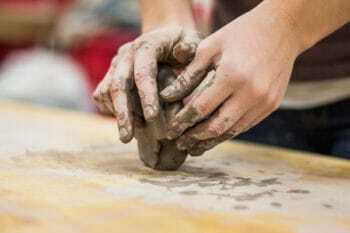 Attend a pottery making class or a jewellery making workshop; try welding or screen printing. Find the class to keep you busy here. The main challenge is: do something you’ve never done before – you may find the new hobby for life, or even open your own store on Etsy! Don’t like it hot? Swap your house and the season of the year with help of house-swapping website, like Aussie House Swap or House Swap Holidays. Discover winter in Canada or Austria, or travel to moderately cool Spain, Italy, or even New Zealand. If you have not yet used Airbnb, give it a go – you’ll have an absolutely different experience compared to staying at standard hotels or houses for rent. This summer activity is not for the faint-hearted, but if you’re ready for a courageous, fun adventure then jump on board…literally! So this adventure requires: a suitcase filled with your summer essentials, a credit card with funds ready to splurge, five days approved leave away from hum-drum responsibilities such as work, kids, school etc, and most importantly, a sense of adventure. Step1 – First of all, get excited! Step 2 – Go the your nearest domestic airport. Step 3 – Check the ‘Departure Board’ for the next available flight to ANYWHERE! Step 4 – Go to the Sales Desk and book yourself on the NEXT flight! Step 5 – Grab out your phone or device and book accommodation online while you wait to be called to board your flight. Step 6 – Get excited and board your flight, ready for spontaneous summer fun! This adventure is even more amazing with a friend, partner or kids and more so if you go to a new destination. Go on – we dare you! 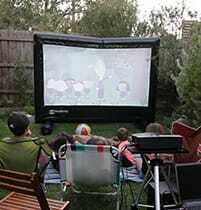 Watch movies under the stars with your friends and family. This would be your most romantic summer experience, and yet the easiest as there is no need to travel anywhere. All you need to do is to set up a movie screen, plug in your projector and turn on the sound. Then choose the movie to suit your tastes, organise comfort seating and serve simple food. Finally, invite the audience and hit play – let the movie magic combined with the wonderful summer night bring joy to your house! Now if you are wondering where to get equipment for your outdoor cinema – visit our online store and buy a complete system which will fit in your backyard and will make everyone go “Wow!”. Over to you now. Share with us your ideas – what’s your favourite summer fun thing to do?